Maggy van Eijk knows the best place to cry in public. She also knows that eating super salty licorice or swimming in icy cold water are things that make you feel alive but, unlike self-harm, aren't bad for you. Turning 27, Maggy had the worst mental health experience of her life so far. She ended a three-year relationship. She lost friends and made bad decisions. She drank too much and went to ER over twelve times. She saw three different therapists and had three different diagnoses. She went to two burn units for self-inflicted wounds and was escorted in an ambulance to a mental health crisis center. But that's not the end of her story. 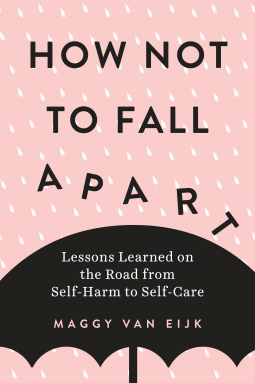 Punctuated with illustrated lists reminiscent of Maggy's popular BuzzFeed posts, How Not to Fall Apart shares the author's hard-won lessons about what helps and what hurts on the road to self-awareness and better mental health. This is a book about what it's like to live with anxiety and depression, panic attacks, self-harm and self-loathing--and it's also a hopeful roadmap written by someone who's been there and is still finding her way.